Which version of ‘The Firebird’ did Dudamel play? I’m a little perplexed by this. The Los Angeles Philharmonic program booklet implied strongly that Dudamel was conducting the complete 1910 version of the ballet. Stravinsky made three suites of “The Firebird,” though, and changed the orchestration for the suites of 1919 and 1945. Here’s where it gets confusing. Dudamel and the Phil definitely played the complete ballet this weekend, not a suite, but there was one aspect of the scoring that I believe — but don’t know for sure — was taken from one of the suites. 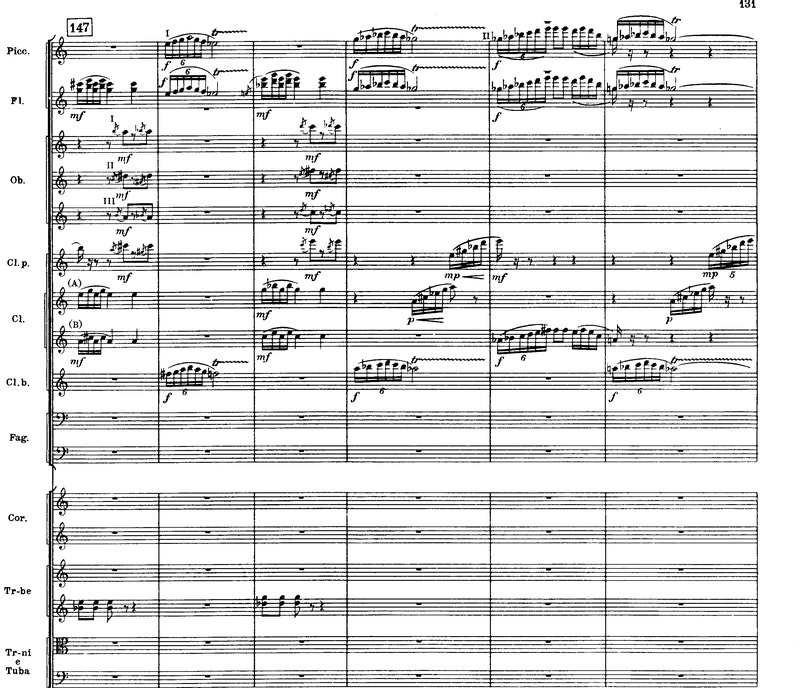 That is in the middle (not the end) of the “Infernal Dance,” where there were fortissimo solo trombone glissandi, which are NOT in the 1910 version (I just listened, with score), but are in at least one of the suites. Did Dudamel plug in an “Infernal Dance” from one of the suites? And if so, is that OK? I’m not so sure. Can someone at the L.A. Philharmonic enlighten us? So, Dudamel inserted the “Infernal Dance” from either the 1919 or 1945 suites, which both have the trombone glissandi, and which the complete 1910 version does not. That’s my conclusion, unless I hear otherwise. I wonder if Dudamel inserted anything else from the suites into his performance of what was supposed to be the 1910 version. That’s good to know, though obviously it’d been also nice to know if any other similar choices were made. “Strictly speaking, there are no synonyms, since by definition synonyms are words having the same meaning. But no two words are identical or even so nearly identical that we could lose either without loss to the language. If we think of meaning as the total impact of a word upon a reader or hearer, every word can do something that no other word could do.” It goes on to elaborate and cite a few examples. The word “play” as applied to a musician clearly implies using a musical instrument. For example, singers perform all the time but they definitely do not play – that’s a huge difference between the two words right there. Same with conductors, although i guess one can probably “conduct his orchestra as if playing an instrument” but only metaphorically so. MarK, this is silly. I hope you mean all this nit-picking in a friendly, lighthearted way. There is absolutely nothing wrong with the expressions Tim has used, literally or metaphorically. English words and expressions can have many subtle meanings and usages that a straight dictionary doesn’t cover. I used to be an editor, so I do know a little about words and writing. My intentions are definitely friendly and respectful, but serious too. Words matter because they inform readers and shape their perceptions. About 99.99% of the time, Tim’s writing is clear and precise, as well as knowledgeable and witty, which is why i enjoy reading his reviews and articles so much; but in those very rare cases when a word is, to my eyes, misused, it jumps out at me like a wrong note in a Mozart Sonata. My recall is nowhere near total, but after reading several books about conductors, i can’t remember a single instance of the word “play” being used to describe what they do on the podium. There is in fact a fully legitimate term “player-conductor” which very clearly means a person who plays an instrument and conducts at the same time – once again showing that playing and conducting are two non-identical activities and that playing is something that conductors can sometimes do IN ADDITION to conducting. I think you just compared me to a Mozart sonata. I’ll take it. Thanks for your comment, MarK. I guess we don’t quite agree, but that’s OK. As you probably know, this is my personal blog and it doesn’t have an editor. An editor may have stopped me from using the word “play” as I did. My thinking in using it — what there was of it — was along the lines that a conductor does “play” an orchestra and does “play” a piece. Also, I was using it the sense of playing a record. Dudamel had several Firebirds to choose from, but he chose this one to play. I getcha, though. Fine, and i shall attempt to pretend that i did not see the phrase “I was using it [in] the sense of playing a record” that seems to equate – or at least suggest an analogy between – interpreting a piece while leading a hundred or so living breathing musicians and pushing a button or two in order to hear a recording. Forgot it already.